We are grateful you have decided to search for homes at this website. This is the best Short Sales In Louisville Ky and real estate portal. Here you can find every available Pleasure Ridge Short Sale In Louisville Ky for sale. Which means, this is where you can find your home or investment property In Louisville Ky.
As of today there are many homes and properties for sale that are available to search. The number of homes, type, size and even price of homes change everyday. So be sure to continually return to this website to find the latest homes for sale. If there are no homes displayed below, that simply means there are no current homes for sale with this criteria. Homes are forever coming on and going off the real estate market. Returning to this website is a great way to stay on top of what is currently available in this real estate market. Short Sales In Louisville Ky are available in fantastic neighborhoods in Kentucky. 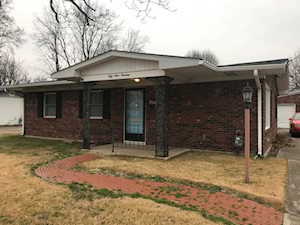 To learn more about any of these Pleasure Ridge Short Sale Homes In Louisville Ky for sale, just click the "Request More Information" button on any property listing page. And, if you haven't already, be sure to search for Louisville Real Estate so that you can receive email alerts whenever new homes for sale or Short Sale Homes In Louisville Ky neighborhoods come on the market. For more information about the area these Pleasure Ridge Short Sales In Louisville Ky are located in, or general information about Louisville Homes, please visit Pleasure Ridge Short Sales In Louisville Ky.
Short Sale. Needs a lot of work. 4 bedrooms and 2 full baths, 2 car garage. To See this Home, Call At Home In Louisville Real Estate Group at (502) 376-8806 to Schedule a Showing. Or, Send us an e-mail at Kathryn@AtHomeinLouisville.com to inquire about this property. This is the first time we have sold and bought a home at the same time and we could not have asked for a better experience. The amount of work that is needed should be done by a team of professionals and that is what you get with At Home In Louisville. Our home had previously been on the market with another realtor for nine months. Because of that experience we were very skeptical of what the next realtor could or would do for us. We interviewed four realtors, and decided to hire Melissa Gabehart because of her professionalism, honesty of market values and especially for her "go get it" attitude. Right away we knew we had chosen the right person for us. The tenth day on the market, we had a contract. Team members Kathryn Sotelo, Lauren Hammond and Shaunta Hamby were very nice and professional as well and attended to all of our questions, suggestions and needs. We have, and will continue to, spread the word and refer others because At Home In Louisville rocks!